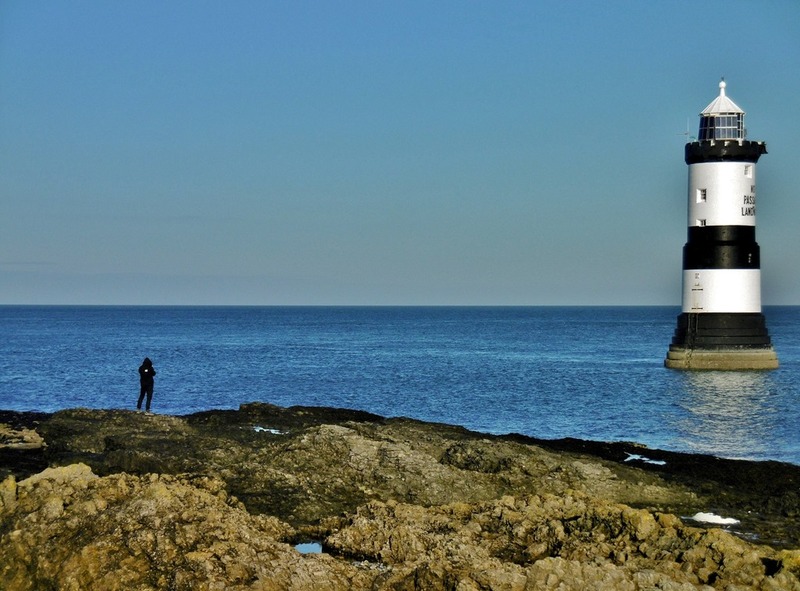 Posted on February 27, 2017 by Tish Farrell	This entry was posted in Landscape, photography and tagged Anglesey, Black & White Sunday, Penmon Point, Tish Farrell Writer. Bookmark the permalink. Both WordPress and Windows 10 are annoying. I never know which is responsible on any given day. I notice windows10 has deposited several apps in the last few weeks. Apart from ‘Store’ I have no idea what they are; nor can seem to dispose of same. Sometimes think microsoft is ‘the axis of evil’, and the man who invented it now wants to vaccinate us all. Yikes! Who knows what we’d be uploading. I’ve been getting Windows Office demos popping up against my will at completely random times. I can be watching a video and suddenly I get bling-bling, try Office 365 for free for 30 days. … the black and white has a surreal edge, I think; have been on wp all day and its been dragging at times. I haven’t had a problem with WP. But I am 5 hours ahead of you in UK, so perhaps less busy when I am using it? The dark areas around the lighthouse look like an artifact in post production. Do you fiddle about much with your images? Post-production: That’s what I thought, but I don’t think I did much fiddling in this case. For some ‘reason’ my Microsoft editing prog won’t let me undo anything I have done with Lumix shots after saving, so I can’t check.I know, I should keep a master file. Invest in Adobe Lightroom. All changes are non destructive. No idea about the smudges, Tish. Sorry. WP goes slow for me periodically, but I also have Windows 10, so who knows for sure? It’s frustrating no matter the cause. Technology, eh. We have such high hopes of it. The colour one for me, I think. The black and white somehow flattens and detextures things. But then I yearn for the feel of sun. WordPress just disappeared a whole post (unless of course it was me!) and I’m on my iPad. WP can do some strange things, but disappearing a whole post is a bit mean. It was probably me, but blame it elsewhere is my first defence! You are amazing! I have never seen such a 3D feel in a lighhouse photo. I like it better in black and white. Sorry for not coming sooner, I crashed early last night. P.S. It’s not your Windows, it is them. I think both photos are good. The lighthouse looks like a giant salt cellar floating on the water. Can’t say WP is any different than normal. Since they introduced the ”new improved ” editor (which I do not use) the ‘Followed Sites’ drop-down seems to take an age to load but ordinary Blogs load with no probs. This Laptop is an oldish one and I think it running 8.1? It runs just fine from my perspective. I like the floating salt cellar – on a salt sea! Thanks for computer feedback. My clunkiness has been happening for a couple of weeks. The page freezes when I’m mid-comment, and everything in WP is taking longer to load. But I also notice that Windows 10 dumped some unknown apps on my computer about 2 weeks ago, and I can’t seem to get rid of them. I prefer the old WP editor too. My son uses an Apple for work and has no probs whatsoever… so he says. Though he does not blog, the Emilyscakes website is a WordPress platform. Do you still use the old WP editor? This is going to sound crazy, but the colour version seems closer than the monochrome. WordPress has been very odd on my phone recently, but okay here on my lappy. Probably due some updates. That’s an interesting observation, Gilly. I think I know what you mean. Beautiful in both colors and BnW! A great capture, Tish!